AccessWDUN.com, North Georgia's most read website for local news and information, offers a wide range of advertising solutions for local businesses -- ranging from banner and buttons to crawler messages on the site. In 2014, AccessWDUN averaged nearly 240,000 unique visitors to the site each month, over 1.1 million sessions per month and almost 4.25 million pageviews per month. And visitors to AccessWDUN spent nearly seven minutes on various pages of the site. That's a lot of time and a lot of visits for your ad to make an impact. In addition to our digital advertising, we offer a variety of ways you can advertise your business on our family of radio stations, too. Both online and on the air, we offer award-winning news and commentary that is updated continuously throughout the day. With large audiences across all our platforms, we offer your business a great opportunity to increase your exposure to local buyers. DIGITAL - Jacobs Media operates AccessWDUN.com. It is updated 24 hours a day as news breaks. Although the site offers primarily local news targeted at North Atlanta and the Northeast Georgia region, the site also contains the latest national and international news. 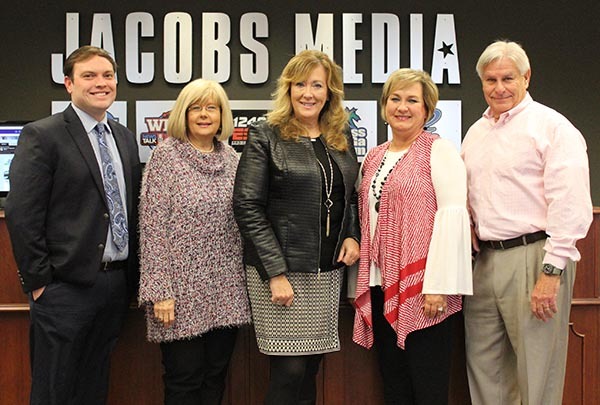 RADIO - Jacobs Media operates three radio stations -- WDUN AM550, WDUN FM102.9 and The Lake FM94.5/AM1240. Each offer advertisers the ability to target specific demographic groups in the North Atlanta and Northeast Georgia region with unparalleled efficiency. Each station/format targets a specific audience, area and demographic group for maximum appeal and minimum duplication of audience between stations. And all three stations offer regular news and weather updates from the AccessWDUN newsroom. TO OUR LISTENERS and READERS: We desire to exceed both the expectations and requirements of our listeners and online users by providing them with the finest in broadcast and online excellence, regardless of their choice of programming. We want every person who tunes in to one of our stations or views one of our websites to hear and see the finest professional sound and online content, backed by our integrity and reliability. TO OUR ADVERTISERS: We desire to consistently increase the advertising value of every dollar invested with our company. We are a service organization dedicated to providing maximum exposure to each message and enhance each client’s reputation. TO OUR COMMUNITY: We desire to become a more effective communication partner with all elements of our expanded community in Northeast Georgia. We will continue our leadership and involvement in Gainesville, Hall County and neighboring counties as we all strive to consistently improve the quality of life that is ours to enjoy.